Glen Campbell: So what's next? My son wants to build a radio, and I would love to do that with him. Any recommendations for good kits? I would very much like to learn Morse code at an acceptable level. 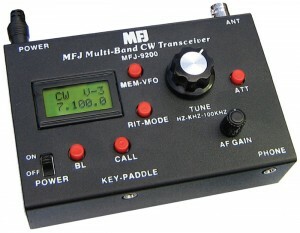 I think it would be very cool to take a tiny CW QRP rig with me as a travel (I travel a lot for work) and then be able to make contacts in a number of new locations. Now that I’ve passed the Extra exam, this is likely where I’ll focus next. I have in mind to re-purpose an older Yaesu FT60R with a Raspberry Pi to use as an APRS Internet gateway. I’m thinking that it should be fairly trivial to do. Once my son and I build the radio, I’ll obviously need some sort of HF antenna in the back yard or attic to use with it. What do you have in your ham radio plans?